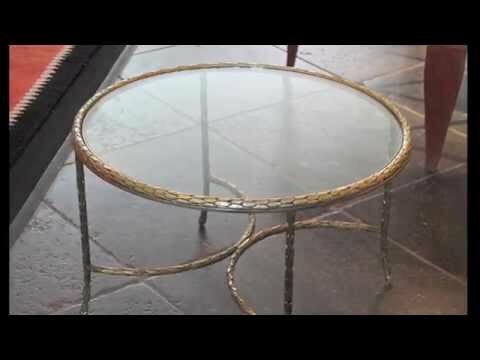 This elegant and extremely rare coffee table by Charles & Fils has a gilt bronze frame and a glass top. The frame has an exquisite tapered design, and each leg features a slight curving to the floor. Frame is in original condition, with natural patina. Glass is in excellent condition, no scratches.